PhD (1988) in Computer and Information Science from the Ohio State University. Thesis Title: “An Integrated Approach to Verification and Performance Analysis of Communication Protocols”. MS (1979) in Computer Science from National Chiao Tung University. Thesis Title: “The Design and Implementation of A Distributed System Software”. BS (1977) in Computer Science from National Chiao Tung University. "Protocol Validation for Large-Scale Applications," IEEE Software Magazine, Special Issue on Network Protocols, January 1992. "Guest Editors' Introduction: The Rise of Protocol Engineering," IEEE Software Magazine, Special Issue on Network Protocols, January 1992. “A Methodology for Feature Interaction Detection in the AIN 0.1 Framework,” IEEE Transactions on Software Engineering, October 1998, Special Issue on Feature Interaction Management. “An Agile Server for Multi-provider Service Peering and Aggregation,” IEEE Communications 41(3) (2003). “Policy-enabled Mechanisms for Feature Interactions: Reality, Expectations, Challenges” in Special Issue on Feature Interactions in Emerging Application Domain, Computer Networks 45(2004) 585-603. “Next Generation Telecom Services: The Truth and Myths” in China Institute of Electrical Engineering Magazine, Special Issue on Next Generation Telecom Services, pp.14-25, June 2004. “Gap Analysis and Deployment Architectures for 3GPP2 MMD Networks” in IEEE Vehicular Technology Magazine, 2007. “Mobility Testbed for 3GPP2-based MMD Networks, in IEEE Communication Magazine, July 2007. "Guest Editors' Introduction: Next Generation Service Overlay Networks (NGSON)," IEEE Communications Magazine, Special Issue on Next Generation Service Overlay Networks, January 2012. "An Integrated Approach to Verification and Performance Analysis of Communication Protocols," in the book of the 8th International Symposium on Protocol Specification, Testing, and Verification, June 1988. "A Building Block Approach to Detecting and Resolving Feature Interactions," In the book of the 2nd International Workshop on Feature Interactions in Telecommunication Systems, Amsterdam, The Netherlands, May 1994. “A Formal AIN Service Creation, Feature Interactions Analysis and Management Environment: An Industrial Application,” In the book of The 4th International Workshop on Feature Interactions in Telecommunication Systems, Montreal, Canada, June 1997, IOS Press. “Feature Interactions in the New World,” in the book of the 5th Int’l Workshop in Feature Interactions in Telecommunications and Software Systems V, 1998, IOS Press. “Next Generation Service Creation: Process, Methodology, and Tool Integration,” in the book of the 5th Int’l Workshop in Feature Interactions in Telecommunications and Software Systems V, 1998, IOS Press. “New Service Creation via Brokering and Mediation” in the book of the 8th International Conference on Feature Interactions in Telecommunication and Software Systems, June 2005, IOS Press. “IMS Service Broker Feasibility Study in 3GPP Release 8”, in the book of the 10th International Conference on Feature Interactions in Software and Communication Systems, June 2009, IOS Press. “Service Interaction Research in Emerging IEEE NGSON Standards”, in the book of the 10th International Conference on Feature Interactions in Software and Communication Systems, June 2009, IOS Press. “Self Organizing IP Multimedia Subsystem with Load Balancing Support,” in Advances in Next Generation Services and Service Architectures, Eds. A. Prasad, J. Buford, V. Gurbani, 2010. "Protocol Verification Using Reachability Analysis: State Explosion Problem and Relief Strategies," in Proc. of ACM SIGCOMM '87 Workshop on Frontiers in Computer Communications Technology, August 1987. "An Integrated Approach to Verification and Performance Analysis of Communication Protocols," Ph.D. Dissertation, The Ohio State University, 1988. "A Formal Model for Protocol Interworking in ISDN," In Proc. of Int'l Conf. on Communications, June 1988. "On the Verification of Time-Dependent Protocols Using Reachability Analysis," in Proc. of the 22nd Hawaii Conference on System Sciences, Jan. 1989. "A Functional Testing Approach for Signaling Interworking on Taiwan 5ESS Gateway Switching Systems," In Proc. of International Symposium on Communications, Taiwan, R.O.C., December 1991. "A Functional Testing Approach for Interworking Between CCS7 TUP and Non-CCS7 Signaling Systems," In Proc. of IEEE International Conference on Communications, Chicago, Illinois, June 1992. "Specification and Validation of Communications in Client/Server Models," In Proc. of The International Conf. on Network Protocols, Boston, Massachusetts, October 1994. “Signalling Adaptor between Distributed Systems and Telecommunications Networks,” In Proc. of The International Conf. on Distributed Computing Systems, Amsterdam, The Netherlands, 1998..
“An Open Edge Service Platform for Deploying and Managing Services at Network Edges,” IEEE Open Architectures and Network Programming, April 2002. “Agent-based Management and Unification of NGN and Personal Services,” IASTED Int’l Conf. on Artificial Intelligence and Soft Computing (2002), Alberta, July 2002. “Efficient Model-Driven Service Brokering using Web Services,” ICWS 2004. “ Mobility Management Schemes for Heterogeneity Support in Next Generation Wireless Networks, Euro NGI 2007. “ Architecture Analysis and Experimental IPv6 Testbed for Advances in IMS,” IMSAA 2007, December 2007, Bangalore, India. “Self Organizing IP Multimedia Subsystems,”, IEEE Conference IMSAA 2009, Bangalore, India (Best Paper). “Evaluation of Service Continuity in a Self-organizing IMS,” World Academy of Science, Engineering and Technology 71 2010. “Enhanced Next-Generation Service Overlay Networks architecture,” IEEE Conference IMSAA 2010, Bangalore, India. “Services Composition Based on Next-Generation Service Overlay Networks Architecture,” in 2011 4th IFIP International Conference on New Technologies, Mobility and Security (NTMS). “A Feasibility Study on Developing IoT/M2M Applications over ETSI M2M Architecture,” in the 1st International Workshop on Internet of Things Technologies (IoTT), December 2013. “Converging MQTT resources in ETSI standards based M2M platform”, IEEE iThings , September 2014. “M2M-Enabled Real-Time Trip Planner,” in the 2nd International Workshop on Internet of Things Technologies (IoTT), December 2014. “Converging MQTT resources in ETSI standards based M2M platform”, IEEE International Conference on Internet of Things, September 2014. “Improving Utilization and Customer Satisfaction of Parking Space with M2M Communications”, IEEE World Forum on IoT, December 2015, Milan, Italy. “Analysis of Security Protocols and Corresponding Cipher Suites in ETSI M2M Standards”, IEEE World Forum on IoT, December 2015, Milan, Italy. “Incorporating OMA Lightweight M2M Protocol in IoT/M2M Standard Architecture”, IEEE World Forum on IoT, December 2015, Milan, Italy. “Identification and Analysis of Charging Factors in M2M Communications”, IEEE World Forum on IoT, 12/14-16, 2015. “High Scalability for Cloud-Based IoT/M2M Systems”, IEEE International Conference on Communications, 23-27 May 2016, Kuala Lumpur, Malaysia (IEEE ICC'16: Communications for All Things, Symposium on Internet of Things). “Performance Management of IoT/M2M Platforms,” in The 6th IEEE International Conference on Communications and Electronics (IEEE ICCE 2016), Quang Ninh City, Vietnam, 7/27-7/29/2016. “Charging Models for M2M Communications,” The 16th Asia-Pacific Network Operations and Management Symposium (APNOMS), Kanazawa, Japan, 10/5-7/2016. “Challenges of Incorporating OMA LWM2M Gateway in M2M Standard Architecture”, IEEE Conference on Standards for Communications & Networking 2016, Berlin, Germany, 10/31-11/2/2016. “Situation Awareness in a Smart Home Environment”, IEEE World Forum on IoT 2016, Reston, Virginia, USA, 12/12-14/2016. “Charging Architecture for M2M Communications”, IEEE World Forum on IoT 2016, Reston, Virginia, USA, 12/12-14/2016. “Improving Fast Velocity and Large Volume Data Processing in IoT/M2M Platforms”, IEEE World Forum on IoT 2016, Reston, Virginia, USA, 12/12-14/2016. “OpenStack-based Highly Scalable IoT/M2M Platforms”, IEEE International Conference on Internet of Things, June 21-23, 2017, Exeter, UK. “Gesture-based Control in Smart Home Environment”, IEEE International Conference on Internet of Things, June 21-23, 2017, Exeter, UK. “Preventing Misuse of Duplicate Certificates in IoT/M2M Systems”, The 7th International Workshop on Internet on Things: Privacy, Security and Trust (IoTPST) under The 26th International Conference on Computer Communications and Networks (ICCCN 2017) , July 31 -August 3, 2017, Vancouver, Canada. ”Multiple User Activities Recognition in Smart Home,” EAI International Conference on IoT as a Service (IoTaaS), September 20-22, 2017, Taichung, Taiwan. “Enabling Over-The-Air Provisioning for Wearable Devices”, EAI International Conference on IoT as a Service (IoTaaS), September 20-22, 2017, Taichung, Taiwan. “A Comparison and Evaluation of Different BLE Connection Methods for Wearable Devices,” IEEE Conference on Standards for Communications & Networking, 18-20 September 2017, Helsinki, Finland. “OneM2M-based IoT Protocol Integration”, IEEE Conference on Standards for Communications & Networking, 18-20 September 2017, Helsinki, Finland. “Ensuring IoT/M2M System Security under the Limitation of Constrained Gateways”, The 6th International Symposium on Security and Privacy on Internet of Things, December 12-15, 2017, Guangzhou, China. “Efficient Device Group Management in oneM2M”, IEEE World Forum on IoT, February 5-8, 2018, Singapore. “Extending Scalability of IoT/M2M Platforms with Fog Computing”, IEEE World Forum on IoT, February 5-8, 2018, Singapore. “Extending IoT/M2M System Scalability by Network Slicing”, IEEE/IFIP Network Operations and Management Symposium, 23-27 April 2018, Taipei, Taiwan. “Performance Evaluation of Open5GCore over KVM and Docker by Using Open5GMTC")”, Experience Session of IEEE/IFIP Network Operations and Management Symposium, 23-27 April 2018, Taipei, Taiwan. “A Tool for Defining Charging Models for M2M Communications”, IEEE International Congress on Internet of Things (ICIOT), July 2-7, 2018, San Francisco, CA, USA. ”Distributed Artificial Intelligence enabled by Fog Networking”, IEEE Conference on Standards for Communications & Networking, Paris, France, Oct. 29-Oct. 31, 2018. ” Enhancing Semantic Discovery in oneM2M with Direct Query”, IEEE Conference on Standards for Communications & Networking, Paris, France, Oct. 29-Oct. 31, 2018. 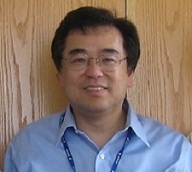 IEEE NGSON (2008-2011): Telcordia representative in IEEE P1903 (Next Generation Overlay Network – NGSON) Working Group. Produced 72 contributions with 52 contributions accepted into the NGSON Functional Architecture standards approved by IEEE in December 2011 and 8 contributions accepted as part of (1) NGSON White Paper, (2) NGSON Requirements. 3GPP SA2 IMS Service Broker (2006-2008): Led this work item in 3GPP SA2 Release 8 and produced 41 contributions with 33 contributions accepted that led to the successful completion of 3GPP TR 23.810. ATIS NGN Focus Group (2004-2006): Telcordia representative in ATIS NGN Focus Group from 8/3/2004, attended 45 virtual and F2F meetings and input numerous contributions into three ATIS technical documents on NGN including (1) NGN Architecture, (2) NGN Roadmap, and (3) NGN Gap Analysis. The focus group successfully closed on 5/5/2006. U.S. Patent No. 5,999,610 - Fuchun J. Lin et al., “ Managing Feature Interactions in a Telecommunications System such as an Intelligent Network”, awarded on Dec. 7, 1999. U.S. Patent No. 6,185,519 - Fuchun J. Lin et al., “Method and System for Feature Interaction Detection in a Telecommunication Network,” awarded on Feb. 6, 2001. U.S. Patent No. 7,912,903 – Fuchun J. Lin et al., “Application Service Peering and Aggregation,” awarded on March 22, 2011. 13/365,847 - A Mechanism of Group Communications in M2M Networks. 11/900,619 - Security Optimization for IMS/MMD Architecture. 13/218,567 - System, Method and Program for Telecom Infrastructure Virtualization and Management. 13/049,194 - Multimedia Overlay Service Network and Method. 13/023,893 - Self-Organizing IMS Network and Method for Organizing and Maintaining Sessions. 12/771,207 - Self-Organizing IP Multimedia Subsystem. 12/004,580 - Flexible Mobility Framework for Heterogeneous Roaming in Next Generation Wireless Networks. 11/898,000 - Methods of Mitigation of Trombone Routing in an IMS/MMD Network. 12/012,014 - Proxy Mobile IP. 13/365,847 - Automatic Provisioning of IP M2M Devices with WiFi Interface. “Future Evolution of Mobile Broadband Networks,” Technical Seminar at NCTU, Hsinchu, Taiwan, September 2011. “Smart Grid Tutorial: Roles of NIST & SGIP,” Tutorial to Telcordia Mobile Networking Research Department, January 2010. “IMS Interconnection,” Tutorial to Telcordia Interconnection BU, December 2009. “Cellular Technologies 2010-2015 for Telematics,” Tutorial to Cross Country (A Telematics Company), June 2008. “Overview of IMS-NGN Technologies,” Tutorial to Toyota R&D Center, August 2007. “IMS Service Provisioning and Network Management,” Tutorial to Telcordia OSS BU, January 2007. “Beyond IMS: NGN Standardization Activities in Industry,” Tutorial to Toshiba America Research Inc., June 2006. “Latest Development in IMS: Use of IMS in ITU-T NGN, in 3GPP, in Cable and in WiMAX,” Training Courses for Telecom Technology Center in Kaohsiung, Taiwan, November/December 2006. “Advanced Telecommunication Service Architectures ,” Short Course in the Centre for Telecommunications Access and Services (“CeTAS”) at the University of the Witwatersrand ("Wits") in South Africa, June 2000. “Convergence of Intelligent Networks and Distributed Systems,” Workshop on Distributed System Technologies and Applications (WDSTA) in NCKU, Tainan, Taiwan, May 1999. “Service Creation and Feature Interaction in Telecommunications Systems,” Summer Short Course, National Chiao Tung University in Hsinchu, Taiwan, July 1997. “Bellcore Internet Telephony Approach” in Next Generation Networks Workshop, CCL/ITRI, Taipei, Taiwan, October 1998. “MGCP-Enabled Gateways: The Key to the VoIP Networks” in Multimedia and Networking Technology Conference, Newark, New Jersey, November 1999. “APIs for IP Telecom Services” in CCL/ITRI COTEC, Taipei, Taiwan, October 2000. “Internet Telecom in 3G” in CCL/ITRI Internet Telecom Workshop, March 2001. “All IP Architecture for Next Generation Networks” in MOTC Telecom Advisory Board (TAB) Seminar in Taipei, Taiwan, September 2001. “3G All IP Core Network” in CAST-USA 2002 Symposium on Telecommunications and Networking, Newark, New Jersey, November 2002. “Wireless All IP Core Network” in WOCC 2003, Newark, New Jersey, April 2003. “Broadband Network Service Creation: Beyond Open APIs” in Broadband World Forum in Seoul, Korea, May 2004. “Next Generation Telecom Services: The Truth and Myths” in MOTC Telecom Advisory Board (TAB) Seminar in Taipei, Taiwan, August 2004. “Latest Tend in Convergent Networks: Beyond IMS” in Chunghwa Telecom Labs in ChungLi, Taiwan, April 2005. “A Survey on Wireless Wireline Integration” in WOCC 2005. “Challenges in Broadband Service Provisioning” in Broadband World Forum in Yokohama, Japan, June 2005. “Latest Tend of All-IP Telecom Systems: Beyond IMS” in ITRI/CCL Annual Technical Advisory Committee in Hsinchu, Taiwan, October 2005. “Status of IMS-Based NGN for FMC” in WOCC 2007, Newark, New Jersey. “Future U.S. Wireless Landscape and IMS Rollout” in WOCC 2009, Newark, New Jersey. “Cloud Services and Terminal Devices – Trend of Mobile Cloud Computing”, METS, Nov. 2010, Taipei, Taiwan. “M2M Cloud in Mobile Broadband Era" in WOCC, Apr. 2012, Kaohsiung, Taiwan. “Future Trend of Telecom Networks" in Chunghwa Telecom Labs, Aug. 2012, Yang-Mei, Taoyuan, Taiwan. “Three Key Elements of IoT/M2M - Mobility, Sensing and Cloud" in Workshop of Mobile Sensing Cloud at NCTU, Aug. 2012, Hsinchu, Taiwan. Quality award and merit award, respectively, from Bell Labs at Indian Hill (development) and Murray Hill (research) in 1992 for a 5ESS protocol validation/verfication project called “NewCore” that was identified as one of the most successful large-scale applications of formal methods based on reachability analysis and model checking. SAIC (Owner of Telcordia in 1998) Best Paper Award in the Information and Communications Category in 1998 SAIC ESTC Publication contest.